Quirky, sensational and outre. 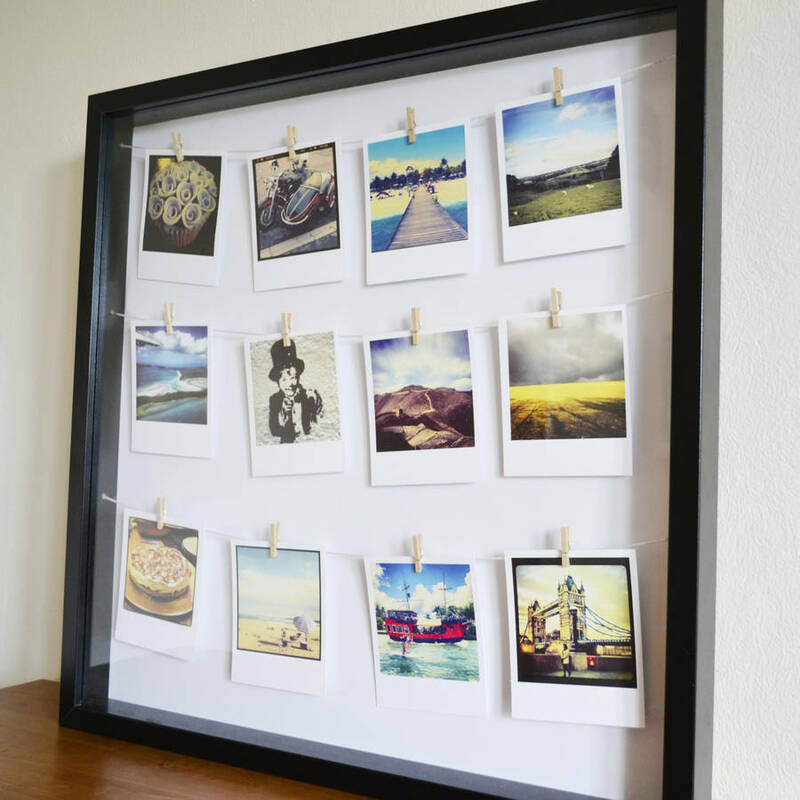 These frames are a sensational way to display your most revered photographs. 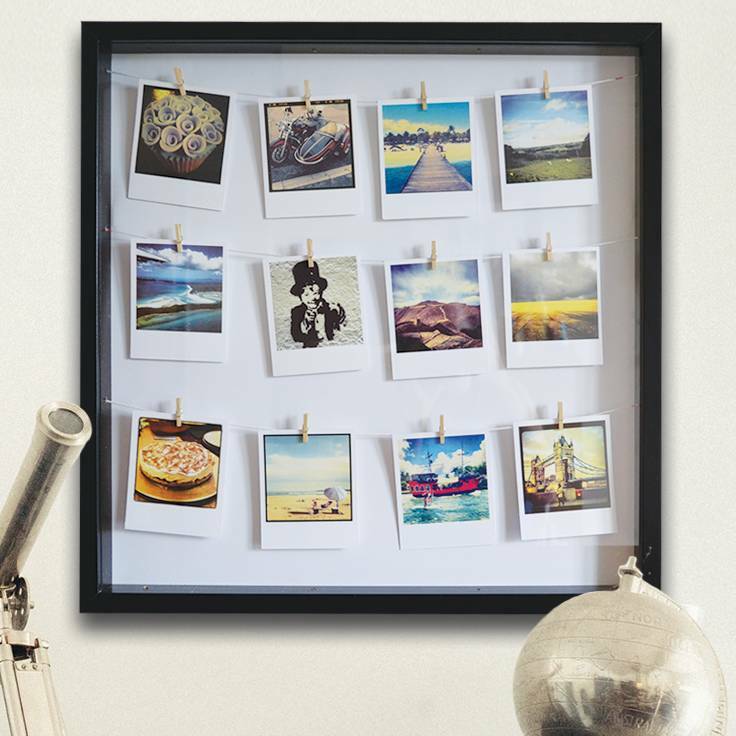 Choose 12 photos to exhibit in this solid, stand out frame. Not content with presenting your photos in a conventional manor? Then this frame is perfect for you. 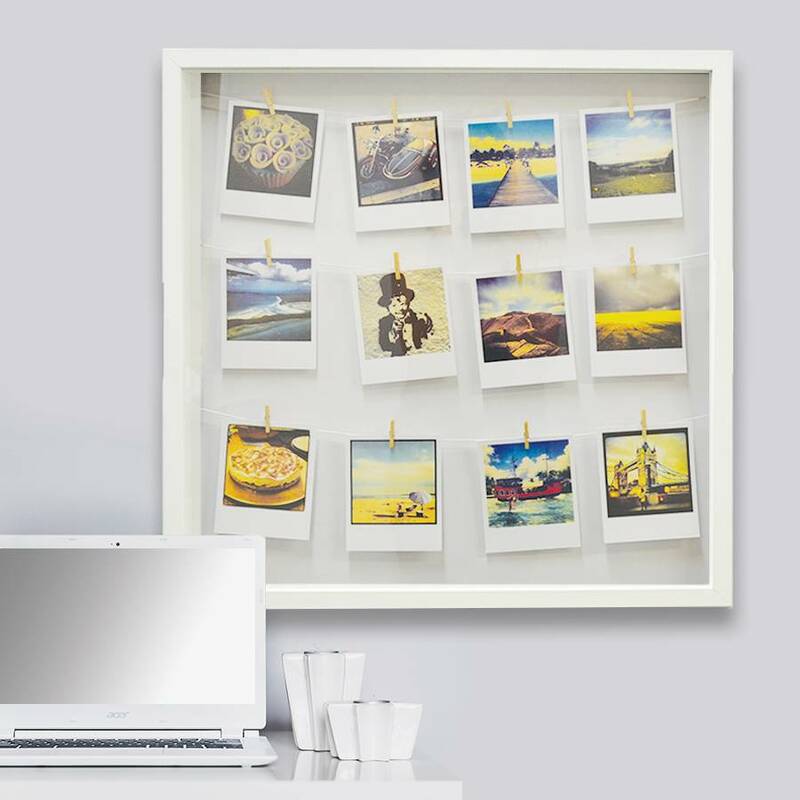 Miniature pegs and quality strings suspend your photos in the frame, enhancing the images and adding a great sense of depth, sumptuously highlighting your chosen photographs. The creation is then sealed to add the final finishing touch. The frame is delivered ready to hang. 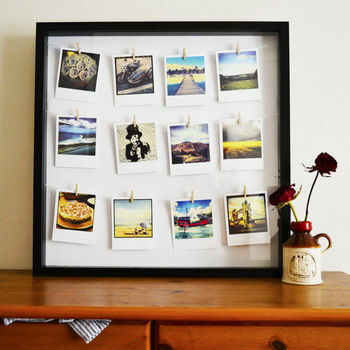 TOP TIP: Name your photographs in numbers 01-12 if you want your photographs laid out in a specific order. 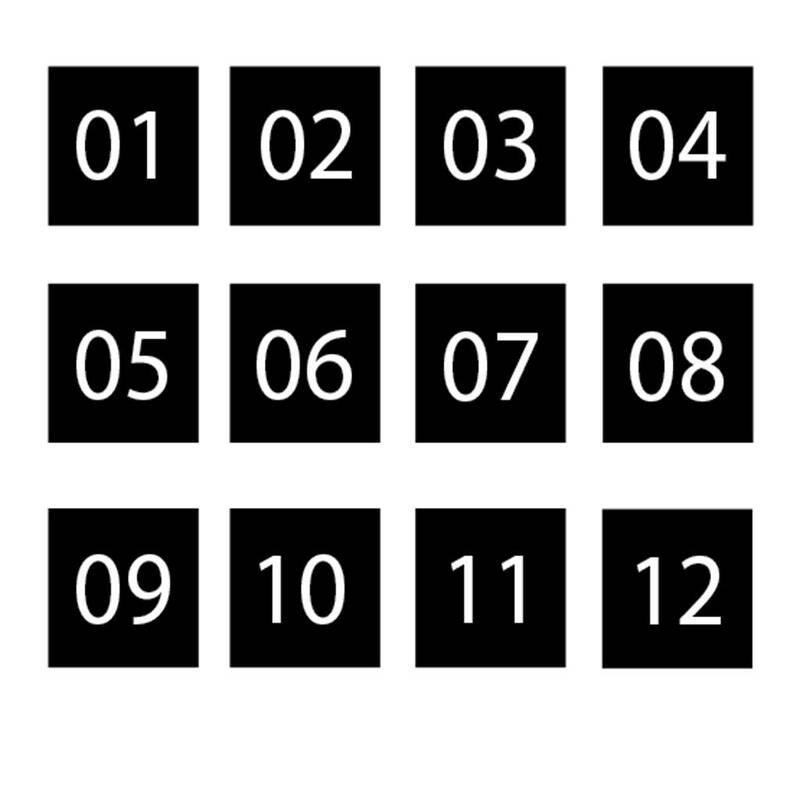 Starting at the top left image at 01 and ending with the bottom right image at 12.The frame comes in a choice of either black or white. Photos printed on 350gm gloss card and mounted on the backing. The images are hung with white string and secured by miniature wooden pegs.